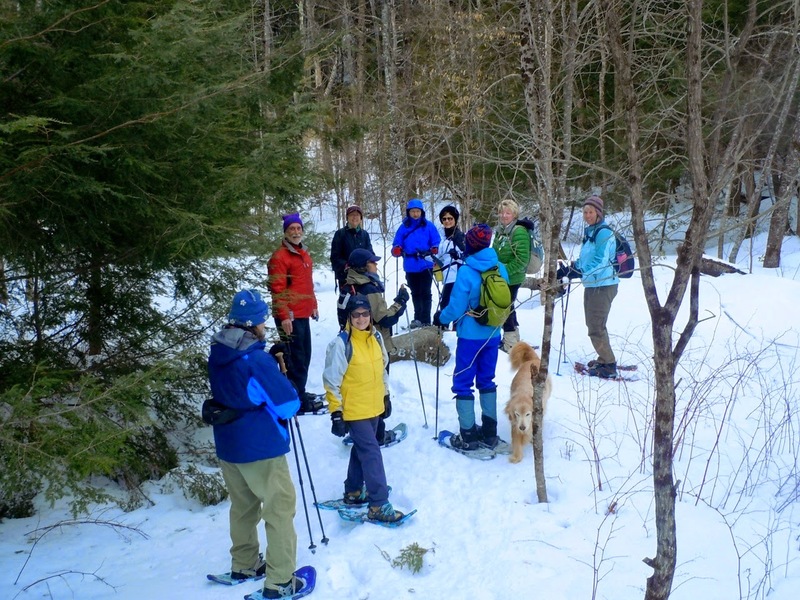 On Tuesday Bob's Way, a Berkshire Natural Resources Council property in Monterey, still had plenty of snow for snowshoeing, although by next week the snow may be almost gone. 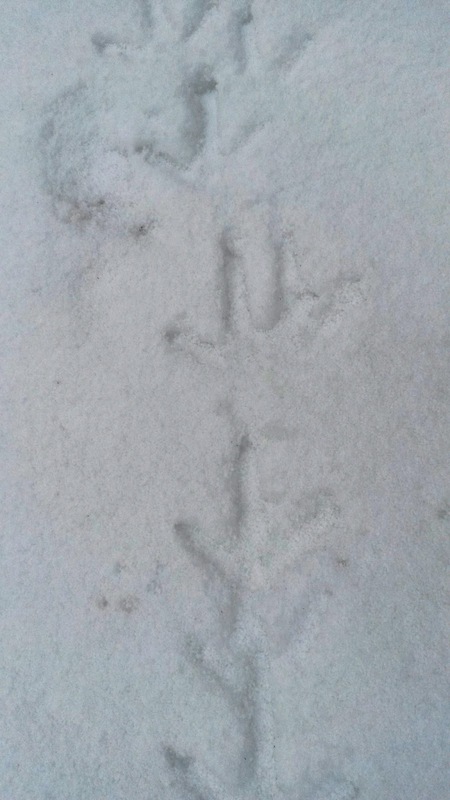 Bob's Way usually has lots of fresh animal tracks in the snow and we were not disappointed. We saw evidence of squirrel, bobcat, otter, coyote, deer, fisher, turkey, porcupine, raccoon, and mouse and vole tracks. 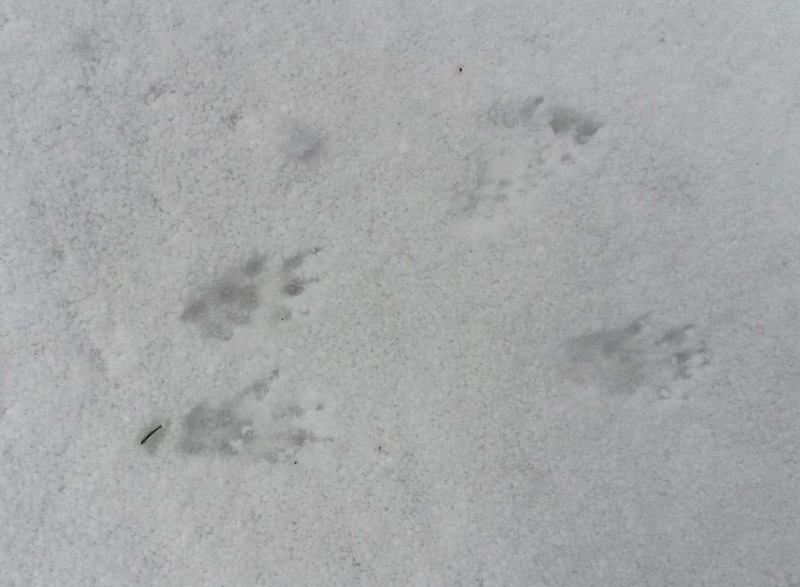 Amazing to see evidence of what goes on in the woods when humans are not around! We started from the parking lot and went around the outer loop. Several turkeys walked along the same path. The little toes, claws and the pads of this squirrel are clearly visible. 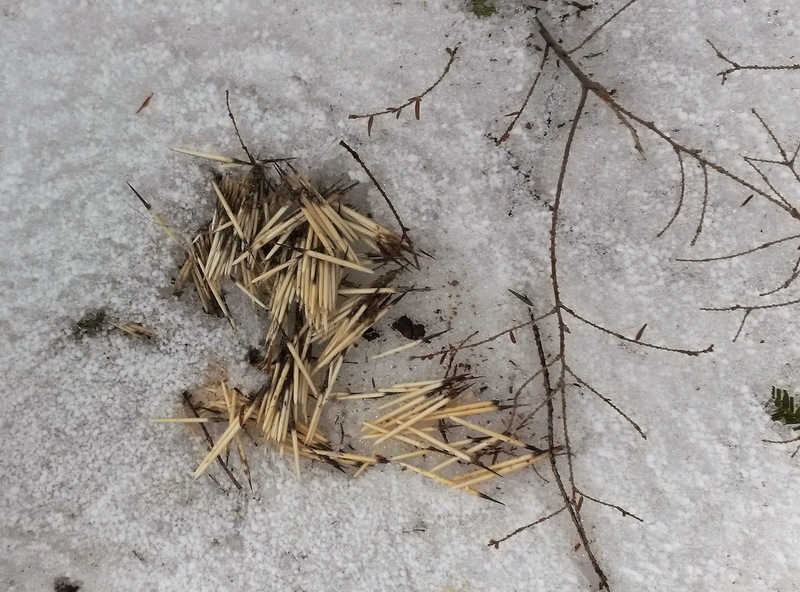 Here underneath a hemlock, we found this pile of porcupine quills. 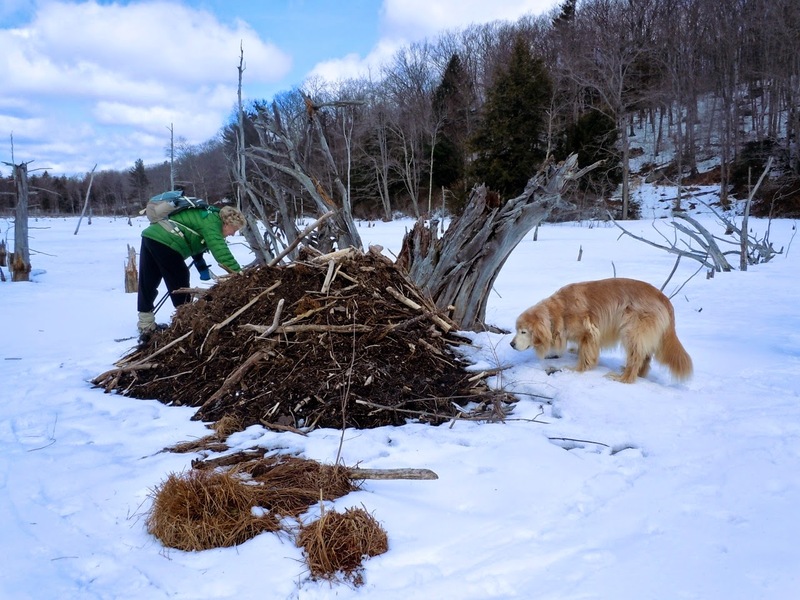 we were able to walk out and examine the beaver lodge. It is very heart touching story and I have learnt lot of things from this blog. Prescription food is very healthy for all pets.